Beautiful Rose Cottage has been recently renovated. Rose Cottage has been beautifully modernised in keeping with its original and charming features situated in a tranquil hamlet. Ideal retreat for a peaceful, romantic or family holiday in rural France. 'The Land of a Thousand Lakes'. When you arrive at Rose Cottage you will be greeted with local produce and French wine. 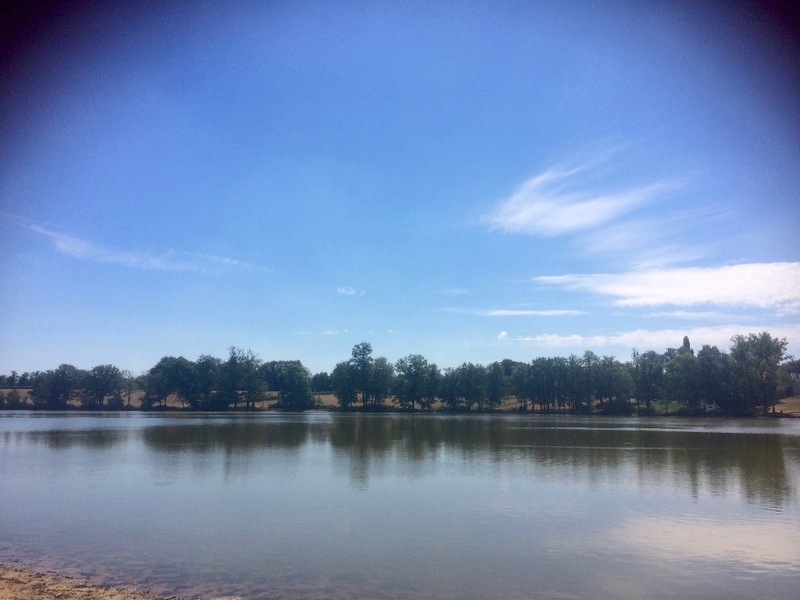 The cottage has spacious and comfortable accommodation with a little bit of luxury, with three outdoor relaxing and dining areas, to enjoy the French countryside. Comprising of a large master/family bedroom with a super kingsize bed and a day/single bed. There is a shower room next door with a shower, toilet and hand basin. A second bedroom on the ground floor with 2 single beds which can also be made into a double bedroom if required, this room has its own toilet and wash basin. The kitchen is complete with all modern and new appliances equipped with a seperate fridge and freezer, microwave, fresh coffee maker and washing machine. The lounge and dining area is spacious, with TV, CD Player and DVD player also with a new log burner, not that you will need this in the lovely hot summer evenings. We also offer a cot, high chair, baby bath and stair gates. The cottage provides free WiFi, TV, CD player and DVD/Video player, as well a large selection of books to read, Videos and DVDs when you want to chill out in the evening. 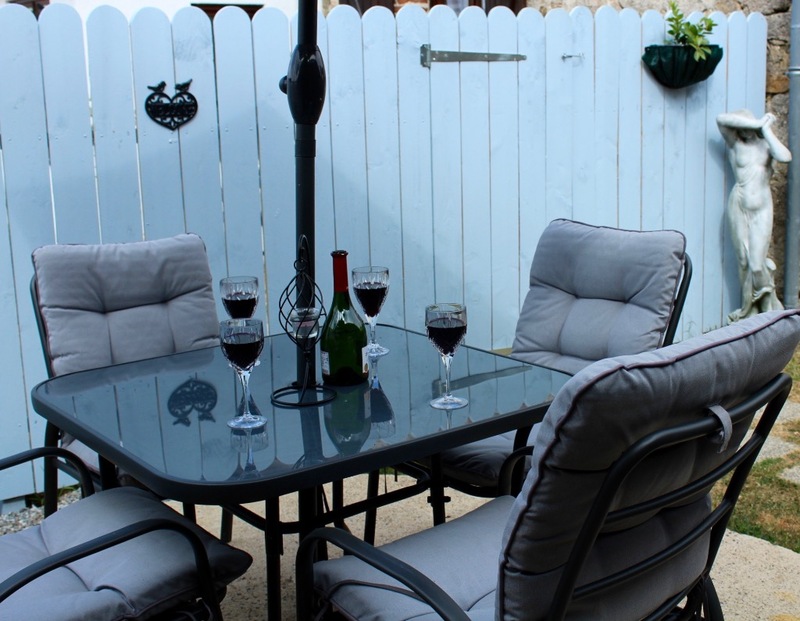 There is dedicated private parking, adjacent to a sunny south-facing patio for outside dining. Alternatively you may wish to dine on the pool terrace with BBQ, whilst sunbathing and enjoying the private above ground swimming pool, watching the swifts and swallows swooping past and birds of prey riding on the thermals. The night sky is amazing and clear for stargazing. Please let us know if you have a "Special Celebration" we can arrange this for you at Rose Cottage and make it extra special for you! Excellent for a long term rental if you want to explore France, or if you are moving to France and you are waiting to buy your property. Rose Cottage is very homely and comfortable in the French Countryside and is only a 20 minute drive to the A20 that will link you to the North and South. Cycle hire can be arranged with a third party company if required, they offer a full range of cycles, complete with helmets and repair kits and provide a delivery and collection service. There are good local hiking trails, or you can enjoy a leisurely walk along one of the many nearby tracks. 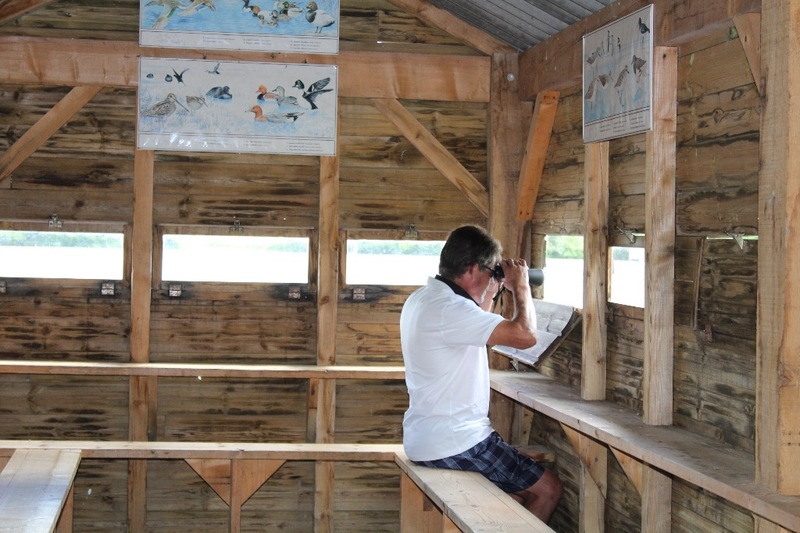 A nature reserve bird sanctuary and lake is just ten minutes walk away. Our local village, Lussac-Les-Eglises, is typical of the very best of rural France. It has a Boulangerie, a well stocked local store selling fresh fruit and veg with a delicatessen counter and fresh meat. A hairdressing salon, chemist, petrol station, post office, Tabac and two friendly bars/restaurants. 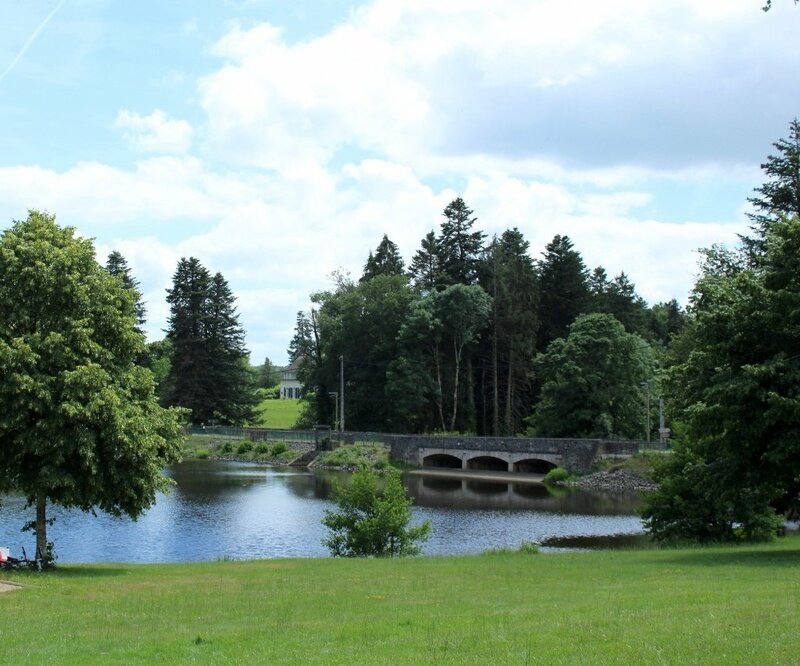 Lac De Mondon is only a 10 minute drive away, where you can take in the beautiful scenery and stunning riverside walks, with its outdoor swimming pool, children's play area and bar/restaurant overlooking the lake. Lac De Pardoux, Haute-Vienne's largest artificial lake, the second largest lake in the Limousin. Lac De Pardoux has lots of activities and a leisure complex, including watersports, windsurfing, cycling routes and spectacular walks. The lake has three man made beaches to enjoy relaxing days in the sun. 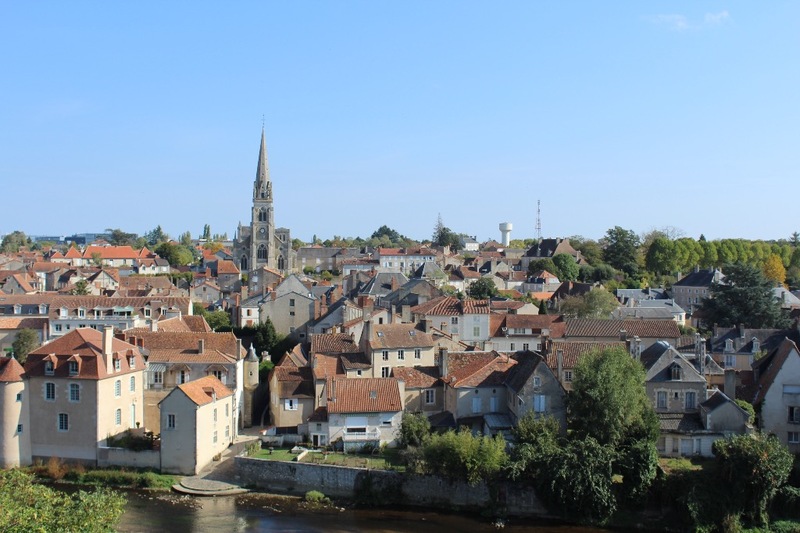 The Ancient Town of Le Dorat is a 20 minute drive and will be the first time in the 40 year history of this event, the French Town of Le Dorat will host the WORLD shearing and woolhandling championship from the 4th until 7th July 2019. 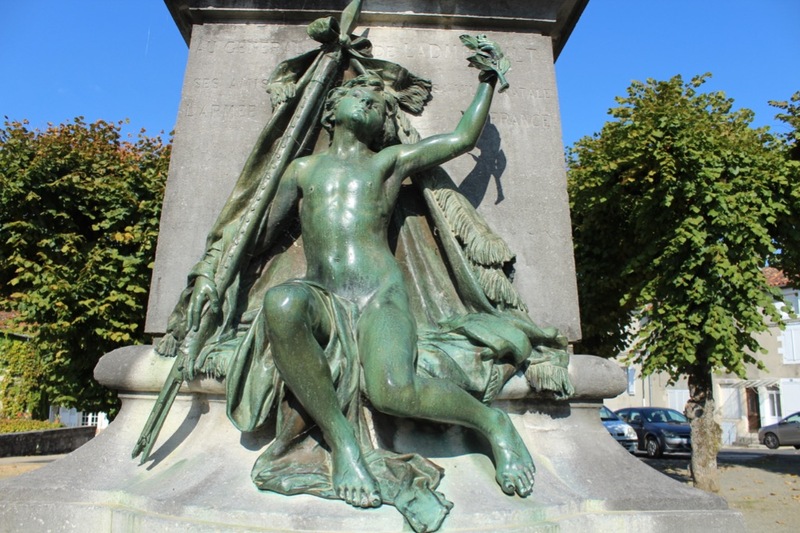 The City of Limoges with its historic porcelain factories and museum within an hour. 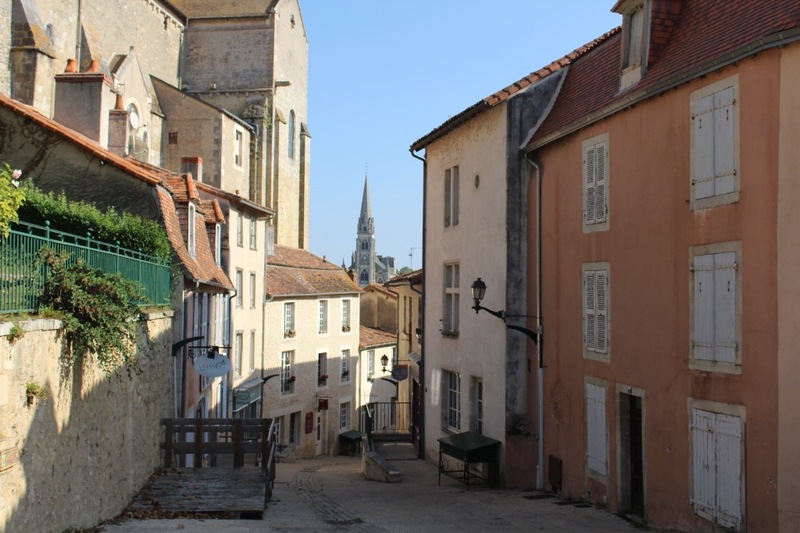 The Beautiful Town of Montmorillon is classed as a "Town of Art and History". 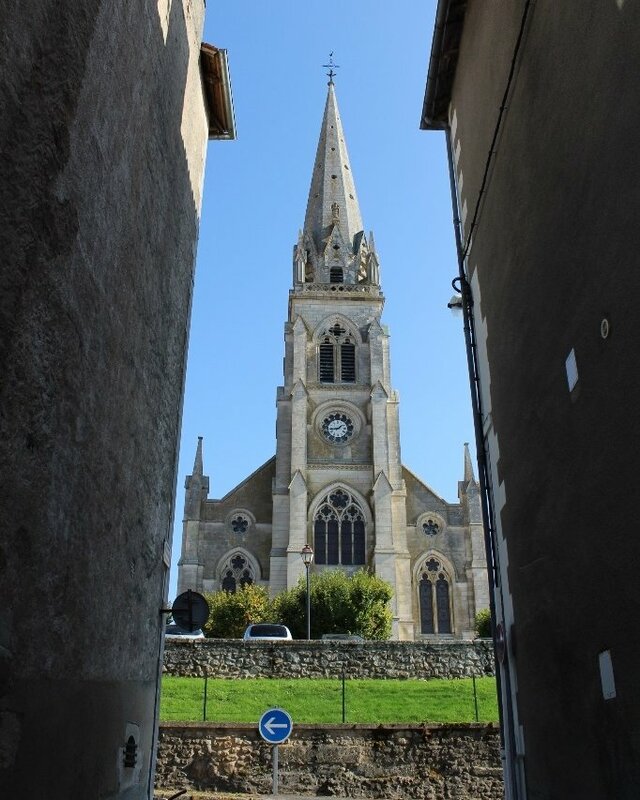 There are several churches of interest including the church of Notre-Dame. Montmorillon is a 30 minute drive. There are plenty of fishing lakes in the area, the nearest to the cottage is a 35 minute drive to Etang de Planchon. If you would like to go to the coast and, La Rochelle is 2 hour 40 minutes drive away. Address: 13, Les Bouiges, Lussac-les-Églises, France. Les Bouiges is a 20 minute drive from the A20 which links you to the north and south. Situated in a lovely quiet hamlet. Just a five minute drive to the village of Lussac Les Eglises with a Cafe Bar, Hairdressing Salon, Chemist and a great shop selling all fresh fruit and vegetables, delicatessen counter as well as your everyday convenience produce, a Boulangerie and Tabac. A twenty minutes drive to Saint -Sulpice-Les Feuilles, a lovely village with shops, cafe bar, boulangerie, doctor and a very helpful and efficient Vets. By paying the booking deposit, or entire rental in case of a late booking, the renter confirms that they have read and agreed with these Terms & Conditions. 1. E-mail the dates you would like to stay to: rosecottageinfrance86@gmail.com along with the number of people in your holiday party (Please state how many adults and how many children). 2. We will E-mail you with the Gite availability and quotation. 3. You will then need to send a confirmation E-mail that you are happy with the quoted availability. Please forward 25% of the quoted price as a non-refundable deposit to secure the booking by bank transfer. 4. Once we have received your deposit you will receive another E-mail to inform you that your booking is secured. 5. The balance of your payment will be due 8 weeks prior to your holiday. Last minute/short term bookings will need to be paid in full at time of booking. We can discuss this with you on an individual basis. 1. Bookings will only be secured following a non-refundable 25% deposit. 2. Payment in full 8 weeks prior to the start of your holiday. 3. Clients are advised to arrange comprehensive travel insurance to include cancellation cover, personal belongings and public liability cover. 4. A security deposit of £150 will be required in case of damage to the property and will be payable at the time of full payment of your holiday. We acknowledge that accidents can happen and ask that you report any damage to us as soon as possible as in most cases these can easily be resolved. Your security deposit will be returned to you within 5 days of your departure. 1. 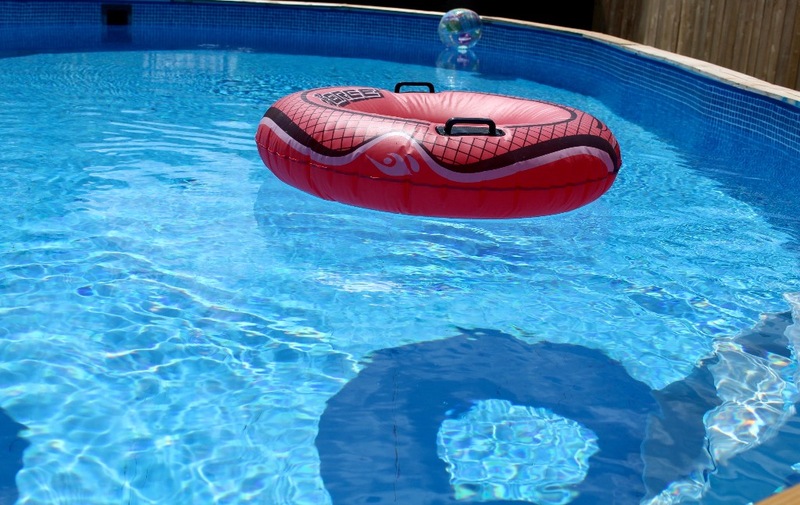 Guests use the pool at their own risk and are responsible for the safety of themselves and any children. Children MUST be supervised at all times. 2. There are some pool towels available on request, please do not use the indoor towels around the pool area. 1. In order to ensure the Gite is in perfect order, the arrival time for guests will be from 4pm and departure time at the end of your stay will be 10am. This can be discussed on an individual basis and facilities are available for you to leave luggage etc. 2. On departure the owners reserve the right to make a retention from your security deposit to cover additional cleaning costs if the properties inside or outside areas are left in an unacceptable condition. 3. The Gite is strictly non-smoking, but outside smoking facilities are provided. 4. In the peak seasons we might not be able to accommodate for you to book single nights or weekends but please email us for further details. We request a security deposit of £150 to be paid with your final payment. This will be refunded back to you by bank transfer within 5 days of your departure. #89. Beautiful gite and lovely owners. We stumbled across rose cottage as a last minute booking for myself and our family. Booking was straight forward and professional,we received confirmation emails and contracts through the post and excellent communication from the owners throughout. We arrived 3 hours before check in time and were made welcome into the gite. Sally (the owner) made us a beautiful welcome meal with salad, cheese and bread, homemade burgers, pizza and crumble. All which were delicious and welcomed after an 11 hour journey. The gite has all the essentials like coffee, tea and sugar and with local shops less than a 2 minute drive away it's so easy to restock if you do need anything. The gite is spacious and tastefully decorated with 3 outdoor areas which are all kept beautifully and very safe for children. We all enjoyed the heated above ground pool,and inflatables were provided which gave the children hours of fun and saved us a fortune! It's great to have English owners next door and gives a real sense of comfort having familiar faces on the doorstep should you need anything. 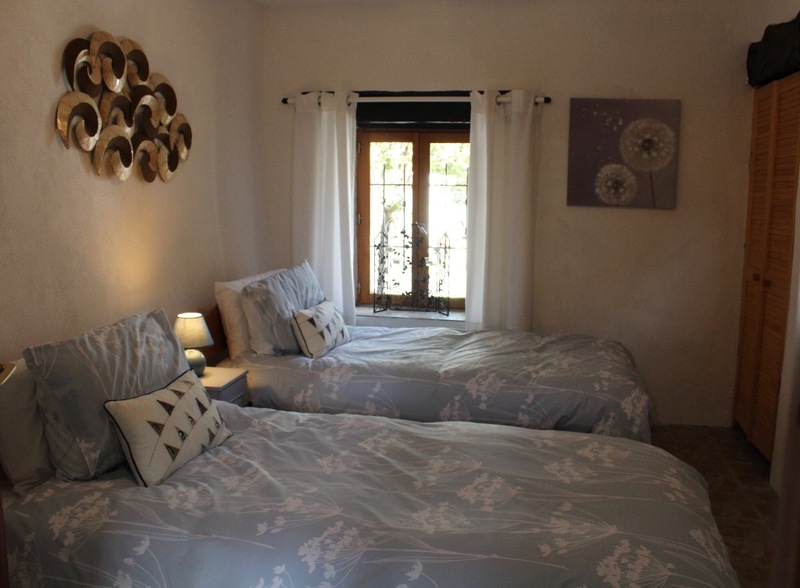 The beds are comfortable and the cottage was clean and tidy with all cleaning products provided should you need them. All in all it was a fantastic week, and we couldn't find no fault. Location is rural but with a car it's completely accessible and you can't put a price on peace and quiet! Thank you so much for a wonderful stay.